Whether you call it the Sunday scaries or the Sunday sads, it’s always a little tough to transition back to the workweek after a couple of days off. Thankfully, there are a few easy things you can do to make the arrival of Monday a little smoother. Below our top five fashion-related things we do every Sunday night to reset and make sure we're prepped for the week ahead. If your laundry is done on Sunday, you’ll have more outfits to choose from on Monday, which will help make your getting-dressed process faster. Also, routinely gathering your clothes to take to the dry cleaner on Sunday night once a week will also ensure your nicest clothes are clean and available to wear more frequently. This is way better than taking a huge pile to the dry cleaner at the end of the month and having some of your best pieces sit there soiled for long stretches of time. The best outfits are born when you’re not feeling stressed by a mountain of emails in the morning or hurrying to make an 8 a.m. meeting. Trust us: You’ll never regret taking the time to plan outfits the Sunday before your workweek starts. Even if you’re totally not the pack-rat type, it’s curious how much stuff can accumulate in your purse. Start the week fresh with a clean purse by removing all the receipts, hair ties, and loose change. 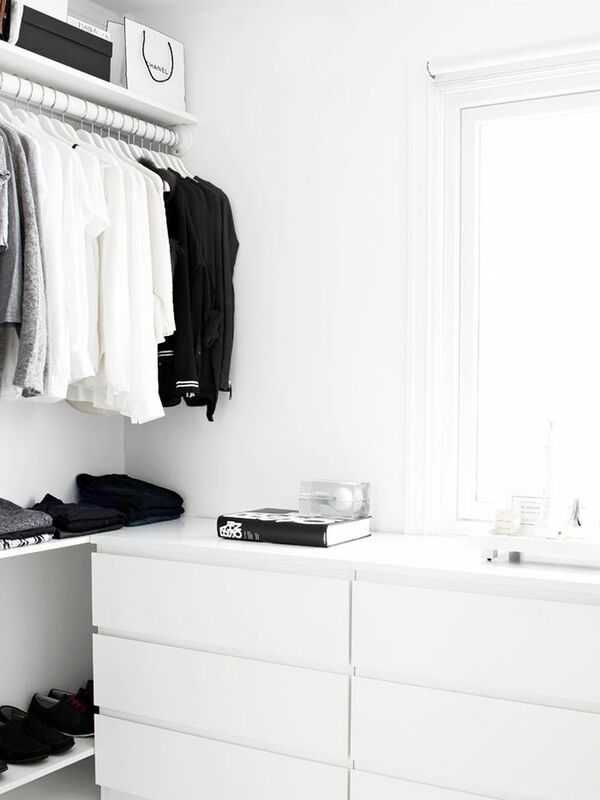 Simply put, a clean closet is a functional closet. A little trick we love: If you pack your entire week’s worth of outfits in one bag and keep it in your car or at your desk at work, you won’t have the “I forgot my workout gear” excuse to skip the gym. It’s also strangely satisfying when you use up every outfit you packed for the week. Plus, it’s one less thing to think about in the morning! Do you have any Sunday habits that help prep you for the week ahead? Let us know in the comments below!